Natuzzi's sleek and stylish Roya (B735) Chaise Sectional Queen Sofa Bed adds a contemporary vibe to the tried-and-true leather sofa category Natuzzi has involved itself with masterfully for decades. This model provides a striking balance of value and quality and is sure to be an excellent addition to any home! 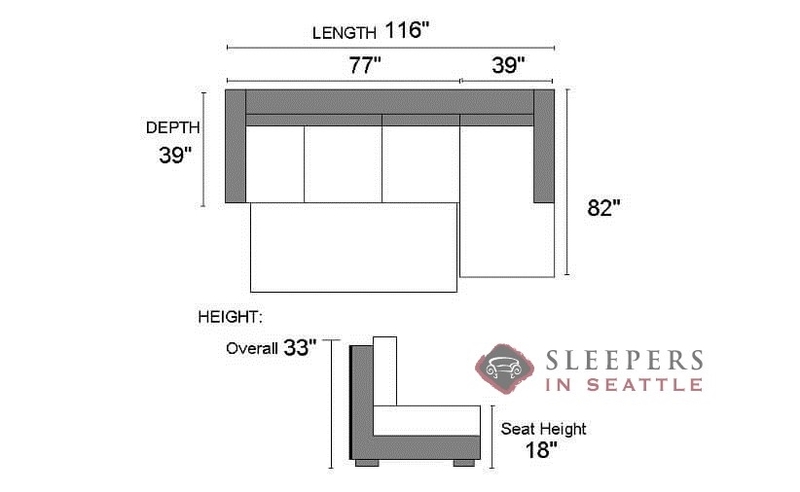 A sectional sleeper sofa is a serious investment. Especially a relatively high end leather piece. So I was a little reluctant to pull the trigger. Who buys something for over $3,000 online? Well, apparently I do. But, only after I spoke with about three different customer service reps and two managers. After speaking with them I was confident enough to make the purchase, and would you look at that? Everything worked out fine. Shout out David for all of the help. The sofa arrived last month and it is everything I wanted. So nice, thank you for everything. As a fifty something year old, recently divorced bachelor, I have a little extra money for myself for the first time in my life. So I decided to redo my apartment and make it a so-called bachelor pad. The first thing I needed was a giant flatscreen. Check. The second thing I needed was a stylish leather couch. Enter Sleepers in Seattle. This sectional is so suave, I love the modern design, the leather, the little wooden legs and everything. My ex never ever would have gone for a look like this, so it was a pretty liberating purchase. The sleeper is perfect for when my daughter comes to visit me, since my apartment is a one bedroom, and I needed a decent place for her to sleep. She loves it, and when she's happy, I'm happy. 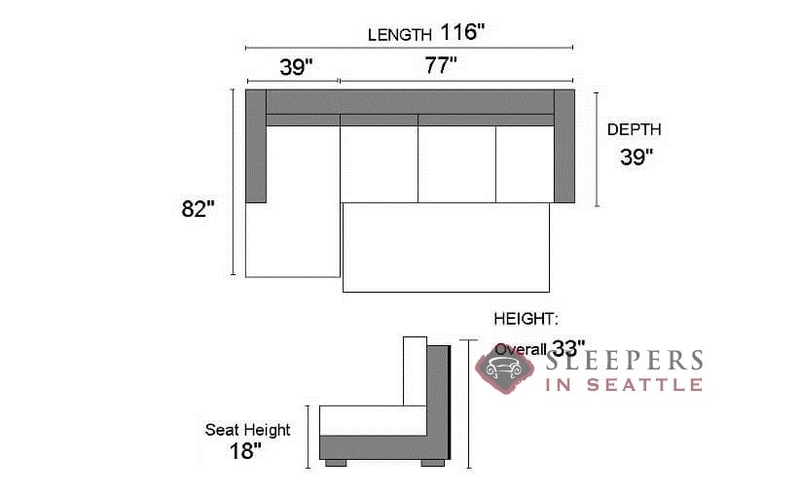 So thank you Sleepers in Seattle for the sofa. Now that my apartment is all set up, the next item on my list is a Mustang, but, we'll see. Does the chaise open up for storage? 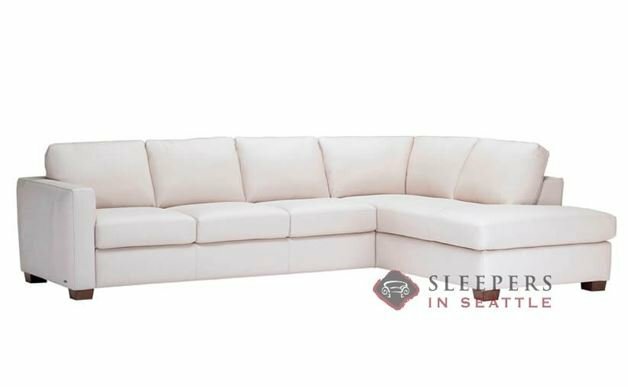 No, the Roya Chaise Sectional Sleeper does not include storage within the Chaise, however the Sangro Chaise Sectionals Sleeper does! How does the mattress pull out from the sofa? Does it come straight out or is it a trundle? The mechanism opens straight ahead, but is a vast improvement over the traditional sleeper types, using slats instead of a bar and canvas.